Moldovan participants expressed their gratitude for provision of useful trainings and a wish to organize such trainings more often. Following quote expresses opinion of most of them: “It’s good to share experiences, to improve the knowledge and to avoid possible mistakes during program’s implementation”. "As a result of implemented activities, budget and policy specialists at MF Moldova, CPAs and LPAs are able to more effectively apply PBB methodology in the budget preparation process. The quality of program budgets and their compliance with PBB methodology was significantly improved and roles and responsibilities of different actors in the PBB process was clarified. 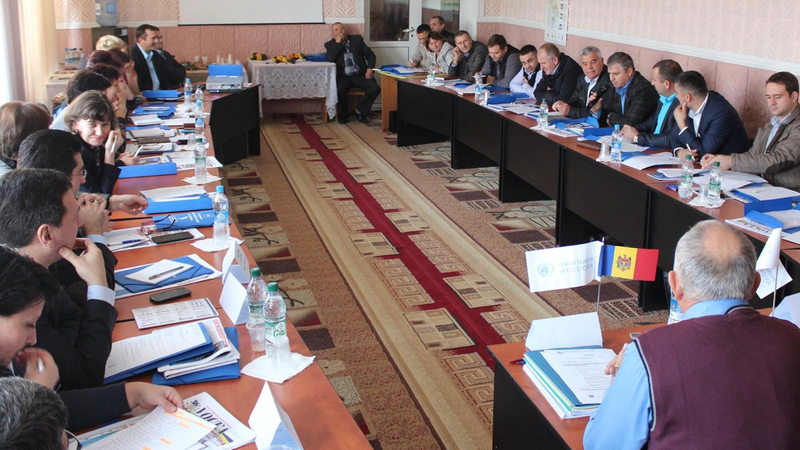 Beginning with the 2014 budget, the program budgeting methodology is implemented in Moldova in all central public authorities, and since 2016 budget, this methodology will be fully applied by the local public authorities as well." Public finance reform is widely regarded as one of the most successful areas in Slovakia’s economic transition. In light of this, in 2009 the UNDP Bratislava Regional Centre and the Ministry of Finance of the Slovak Republic (MF SR) signed an agreement to implement the Public Finance for Development programme as part of Slovakia’s official development assistance effort. UNDP and MF SR joint initiative is an example of an inclusive development partnership, which leverages their own knowledge and technical expertise. Both partners realize that PFM and private finances matter for sustainable development. Thus, they pool their valuable experience to further support the partner countries in strengthening their capacities in the PFM and to mobilize the private financial resources for development through submitted project Public and Private Finance for Development. Project is based on two main pillars: Public Finance for Development Programme (PFD Programme) and the Private Sector for Development Cooperation Programme (PSDC Programme) supported by Development Cooperation Capacity Building of the Ministry of Finance (DEV CB). Public and Private Finance for Development Programme’s implementation (in the beneficiary countries: Moldova, Montenegro, Ukraine and Serbia) continues within the framework of this project and is planned until the end of year 2019. Bratislava, May 28-29, 2018 – UNDP and the Ministry of Finance of the Slovak Republic (MF SR) hosted international workshop on innovative financial instruments for development. The event was attended by development experts from 11 countries, mainly from Ministries of Foreign Affairs, Ministries of Finance and/or national development agencies. Among the main Activities of PFD Programme are listed: policy advice to governmental partners; capacity assessment; institutional development; small grants schemes; trainings, workshops; study visits etc. in three partner countries (Moldova, Montenegro and Ukraine). Few months ago the PFD programme’s presentation and contribution to the booklet from International conference “Development and Democracy” was prepared and published. Development organizations and governments around the world are trying to find ways to do business differently and introduce more effective, efficient and agile solutions and bottom-up approaches to today’s developmental challenges. The MF Slovakia roundtable speakers discussed new technologies and alternative finance models during International conference “Development and Democracy” in Bratislava. Graduation ceremony for students enrolled in the program: Public Accountants Certification Training (PACT) in Montenegro was held in Podgorica on December 23. The project was delivered for the first time in Montenegro thanks to our PFD programme. Funded by the Ministry of Finance of the Slovak Republic and implemented by UNDP in the framework of the project ‘Public and Private Finance for Development’. COPYRIGHT © PFD Programme / SVK-UNDP Partnership Project 2019, ALL RIGHTS RESERVED. Created by Digital Nomads.